Welcome to the download page of the program RobboLito! The autothors of RobboLito: Yakov Petrovich Golyadkin, Igor Igorovich Igoronov, Roberto Pescatore, Yusuf Ralf Weisskopf. 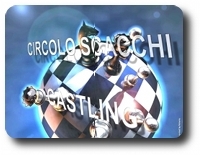 You will find some of the major versions of this very strong chess engine, both for Windows than for Linux, both for 64bit systems than for 32bit systems. On Ippolit sites (http://ippolit.wikispaces.com/) you will find the source code of the original versions proposed by the authors of the program, while versions proposals are the result of work undertaken by comrades of Russian site Immortal223 (http://immortal223.borda.ru/) to whom I extend the compliments for the great job done! You can find several other versions on the site Immortal223 and on the site of Kranium (shown at the bottom of this page). New original logo for Ivanhoe. In the spirit of the glorious Russian tradition, is inspired by the great hero Svyatogor. In the spirit of famous book. Igorrit 0.086v2 (source code) fixed little errors. IvanHoe-Beta-999963 (32 and 64bit) --> The last and best version! Igorrit 0.086v4 (32bit) + 35% fast. Igorrit 0.086v6 (Sentinel version) 32bit + 64bit + source. Very fast... And very strong!! IvanHoe-Beta-999963 (32bit) --> The last and best version! 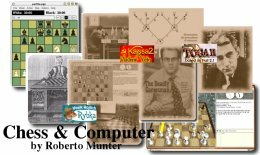 RobboLito 0.09 (32 and 64bit) : at this moment is the BEST solution for mono-processor machines! ¹: RobboBuild is a "TableBases generator" (3, 4, 5 and 6 pieces) for Igorrit and RobboLito.